Rosneft head Igor Sechin said Friday that the Russian state-controlled oil giant would consider buying out former minority shareholders in TNK-BP, a move that appears to signal the end of a bitter corporate tussle that has tarnished the country's investment climate. Sechin made the announcement during an investment forum in the southern Russian city of Sochi in response to prompting from Prime Minister Dmitry Medvedev, who said the buyout would be "correct behavior." "I think that the company, despite the absence of a legal obligation to buy out these shares, will voluntarily carry out the task you have set us," Sechin said, Prime news agency reported. The buyout will take place at a premium of about 20 percent to 30 percent above current share prices, Sechin said, Prime reported. Rosneft became the world's biggest publicly traded oil company earlier this year when it completed a $55 billion deal to buy TNK-BP from British oil major BP and a consortium of Soviet-born billionaires. About 5 percent of TNK-BP, however, was owned by minority shareholders via the publicly traded TNK-BP Holding, who have seen the value of their equity plummet since the takeover. Shareholders in RN Holding, as TNK-BP Holding has been renamed, have bitterly criticized Rosneft over their treatment, with some threatening to sue the oil giant. 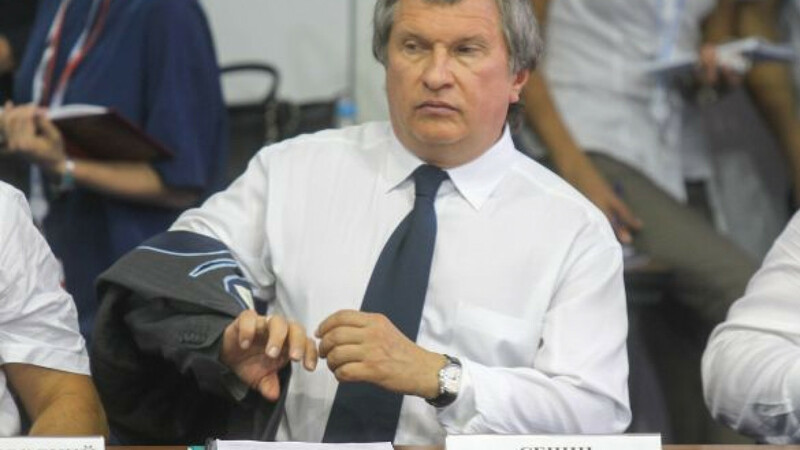 Until Friday, Sechin had appeared impervious to their criticism. During Rosneft's annual general meeting in April he pointedly warned RN Holding shareholders that Rosneft was "not a charity fund," Reuters reported. The difficulties faced by minority shareholders in Russia, who are often trodden underfoot by powerful owners, is one of the factors that makes the country unattractive to investors, experts and economists say. The share price of RN Holding jumped almost 18 percent in the wake of Sechin's announcement, Prime reported.